The legendary Sly Dunbar and Robbie Shakespeare are the tightest rhythm section Jamaica has ever produced. The Halfway Tree clock tower in Kingston, Jamaica’s most iconic landmark, runs on Sly and Robbie time. However getting Sly and Robbie to the studio at the same time is a stretch, which is why Jackie Jackson was wheeled in to complete the rhythm section and make the Kingston All-Stars come together. In Jamaica, nothing happens on time, but the saying goes that anything that is meant to happen, will happen. So when producer Moss Raxlen decided to assemble this all star line up, it was inevitable that this project would come together. I first came across Moss Raxlen when he performed on Heartical Hi-Fi in Melbourne under the name of Mossman. His selection of rare original 45s and reverence for the music was world class and worthy of any sound system. Since then the Canadian produced a feature film titled ‘Rocksteady: The Roots Of Reggae’ which assembled the Jamaican legends of late 60s to perform their Rocksteady classics once again. And after producing Lynn Taitt’s last recorded works, he was no stranger to the analogue tape reels used to produce the vintage sound on this debut album by the Kingston All-Stars. Each of the core musicians on this album are worthy of individual mention. Sly Dunbar is at the helm on drums providing the back bone for the riddims. Jackie Jackson takes a break from touring duties with Toots and the Maytals to provide bass which he has done since the birth of Rocksteady (late '60s) in foundation groups like the Supersonics and the Beverly’s Allstars. Joining Jesse for most of those projects on guitar was Hux Brown who also featured on prominent recordings for Lee ‘Scratch’ Perry. On lead guitar is by Mikey ‘Mao’ Chung of the Revolutionaries, the house band for the essential Chanel One label. On keyboards is not only Studio One’s Robbie Lyn but Double Barrel’s Ansel Collins. Only with lead vocals from the likes of Cedric Myton of the Congos, Prince Alla, and the upcoming Alana Jonsana, could you possibly see legends like Stranger Cole and Trevor McNaughton (Melodians) relegated to backing vocals. But the albums highlight is RZee Jackson’s ‘Bossman Say’ - a working man’s anthem that carries the weight of 400 years of slavery on Sly Dunbar’s driving kick drum. 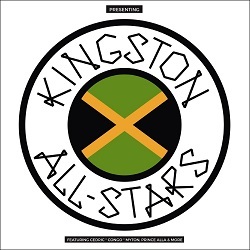 Presenting: Kingston All Stars will be released worldwide March 17th on the Roots & Wire label. A dub version of the album will follow on May 5th. Riddim Yard pick: RZee Jackson’s ‘Bossman Say’ - a working man’s anthem that carries the weight of 400 years of slavery on Sly Dunbar’s driving kick drum. Review by Rick Howe (Riddim Yard) Fridays 11am - 1pm. 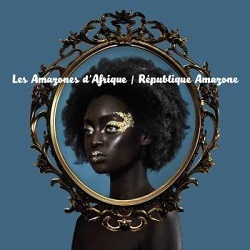 Les Amazones d’Afrique are an all-female collective of West African musicians from various generations that create music as a tool to campaign for gender equality. In what can only be described as a super group - well regarded musicians Angélique Kidjo, Kandia Kouyaté, Mamani Keita, Mariam Doumbia, Mariam Koné, Massan Coulibaly, Mouneissa Tandina, Nneka, Pamela Badjogo and Rokia Koné collaborate to create an exceptional debut record. Out through Real World Records, République Amazone was born from a shared desire to trigger change by addressing the systematic oppression of not only women across the African continent, but across the world. They believe that music can contribute to behavioural changes by backing up social progress and improvement. With a particular interest in helping women who are the survivors of sexualised violence, the record helps raise funds for the Panzi Foundation, a Congolese hospital that treats women who have been abused. République Amazone swims between Mandinka, French and English and tackles themes of oppression, domestic violence, feminism, forced marriage, love and female empowerment. It is a melting pot of ancient rhythms seamlessly blended with funk, afrobeat, blues and dub sounds. It showcases the impressive versatility of its many singers. This feminist supergroup have created a record not only infectious in its passion and energy but in its ability to make your body move. It is a definitive marker in the movement towards deconstructing the post-colonial patriarchy.